Drink Green Tea for Clearer More Beautiful Skin! So what are the Benefits of Green Tea? I will enumerate a few. 1. It contains Catechins, a powerful anti-oxidant that fights free radicals. 2. It contains a compound called theanine which stimulates alpha brain waves, relaxes the body, removes stress and promotes relaxed awareness. 4. It prevents certain diseases like cancer and heart disease. 5. It helps improve the condition of your heart. 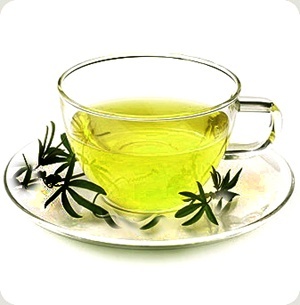 Green tea inhibits atherosclerosis which is the hardening and thickening of arteries. It also reduces high blood pressure. 7. It treats inflammation, which is very useful for those who are suffering from acne and other skin condition. 8. It boosts the immune system through the antigens it contains. 9. It helps prevent tooth decay and even bad breath. 10. It helps preserve bone density and reduces osteoporosis risk. But wait, there's more. Many people use green tea to treat their skin problems like acne, blemishes, even dark spots. The anti-oxidants in green tea plus it's anti-inflammatory properties make it an ideal treatment for pimples. Green Tea also tones and moisturizes the skin. I bet you've heard about famous people using green tea on their skin, in addition to drinking green tea. What's the difference of green tea and yellow tea? Do they have the same or different effects?